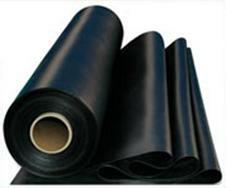 Polymax offer a variety of different cost effective rubber sheets. Each sheet has its own properties ranging from excellent anti ageing properties to oil and fuel resistance. This is our most cost-efficient and widely used grade of rubber sheet - Available in a variety of thickness and with or without fabric reinforcement. If your application requires exposure to severe weathering conditions, ozone and sunlight Polymax PRIMA general purpose CR is most suitable. This is our most cost-efficient and widely used grade of rubber sheet - Available in a selection of extra thick 1m x 2m sheets.